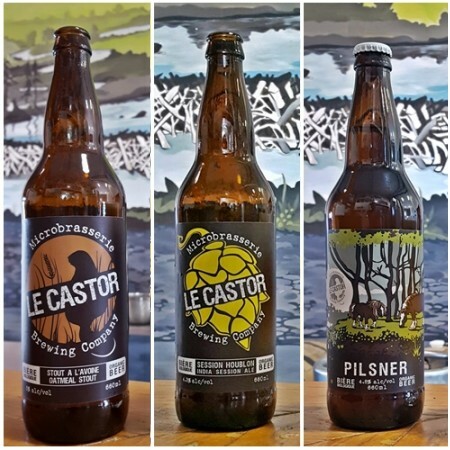 RIGAUD, QC – Microbrasserie Le Castor has announced a recall for three of its brands due to excessive carbonation that could lead to exploding bottles. The brewery has asked retailers to pull all bottles of its Oatmeal Stout and Pilsner off the shelves, as well as bottles of Session Houblon ISA with production dates of 02/08/2018, 03/08/2018, and 06/08/2018. Any customers with these bottles at home are advised to either refrigerate the beer and consume it as soon as possible, or dispose of it immediately using safety precautions such as gloves and googles. If the latter option is chosen, a credit can be received for the disposed beer by contacting the brewery. For more details, see the full announcement on the Le Castor website.